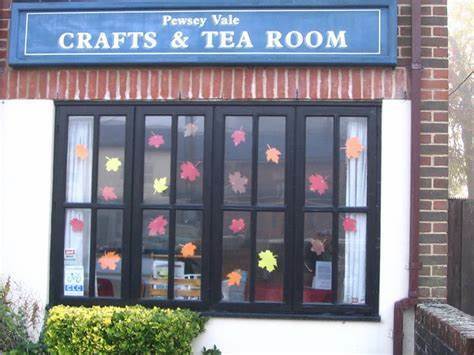 PEWSEY VALE COMMUNITY CRAFTS AND TEAROOM. Our door has been open for 25 years now. We continue to provide a warm and welcoming venue for the local community, and visitors, to meet and share tea, home-made cake, and company……at the same time raising money for local charities. • Become a Committee Member giving you a chance to voice your opinions on training, staffing, menu etc. To find out more, call in the Tearoom or come to our A.G.M.